Harter Investments: LOCAL Omaha, Nebraska Note Buyer. 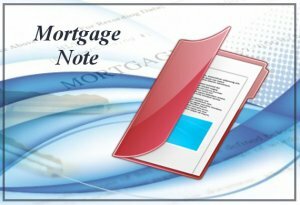 A mortgage note is simply a mortgage in which the person receiving the monthly mortgage payments is a private individual rather than a traditional lending institution like a bank, credit union, or mortgage company. The mortgage note, then, is basically a lien against the property that is, in turn, the collateral for the note. Sometimes, though, the holder of the note is better off with a large lump sum instead of the spread-out payments. So let’s look a little closer at what a mortgage note is and how to sell your mortgage in Omaha, Nebraska. The two main reasons for the rise in private mortgages are stricter lending requirements and not-so-good credit scores – mostly as a result of the recent recession. In addition, during that recession, many people walked away from their property because they may have lost their career and had no way to continue paying the mortgage. Therefore quite a few properties were abandoned and, as a result, became distressed, which made it nearly impossible to get traditional mortgages to buy them because they wouldn’t have passed the inspections. Looking for creative alternatives private lenders then stepped in to fill the gap. Provide all the pertinent details to a company that purchases mortgage notes and get a quote. We are home buyers in Omaha, Nebraska who buy mortgage notes. There actually are no constraints on what amount of the note you can sell. It can be the entire mortgage note, a specific amount now and then payments again later, or a percentage of each scheduled payment. So selling a mortgage note in Omaha is fairly complex and can be somewhat confusing. However, we can provide the assistance you need. Send us a message or give us a call today to learn more! 402-939-6556!